he J&K PDP seeks participation of people in the elections to strengthen the democratic process so that the institutions of democracy create conditions that will facilitate resolution of the J&K issue and bring about self sustaining development across all the three regions of the state. 1.Remodel the Political Structure: Pursue Self Rule as the Framework of Resolution. 2.Reconstruct the Economy: Rebuild and Rehabilitate. 3.Reform the Government: Effective Governance. 4.Revive the Civil Society: Create a harmonious environment. 5.Rally the Youth: Provide opportunity and support. •The special status enshrined in Article 370 is required to empower the people of J&K and help deal with the issues of identity, borders and governance. •Use Article 370 itself to restore the original special status of the state. •Article 370 impacts everything from political discourse to personal responses, from economy to emotions, from society to sensibilities and from institutions to ideologies. The Self Rule document will be the guiding framework for Resolution. •Restore powers of the state assembly. •Globalization of Skills & Standards. •International benchmarking of Products and Processes. •Regional Trade Integration with SAARC economies. •The overall economic policy will align the economic structure of J&K with its own resources, skills and society. •Economic policy will not be formulated for government’s activities but for private businesses and enterprises. •Ensure that along with economic transition, there will be upward social mobility. •Skill deficit: Not having the skills that are needed. •Skill mismatch: The skills we impart in our colleges and universities are not the ones that the J&K economy requires. 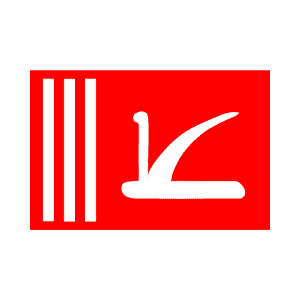 •Liquidity Management: Make J&K Bank once again the Banker of last resort for the Government of J&K. •Structural Adjustment and Stabilization Assistance from DFIs and Multi lateral institutions. •J&K Development Fund: A professionally managed debt offering. •Issuance of Dal Development Bonds. •Channelize local domestic household savings into local enterprises with lower risk and higher return. •Offer nationally accepted financial products which are Sharia compliant. •Issue Land Bonds: An indexed bond which will be linked to land prices, like a Gold bond. •Establishment of a dispute resolution forum. •Set up dedicated communication network. To create self sustaining centers of growth and employment, Model Business Village will be created. *A high density orchard/production unit. *A picking and grading line/grinding unit. *A packaging and processing unit/marketing setup. •New Cities: All towns with population size-class of 50,000 to 99,999 will be upgraded in infrastructure and made into cities. •Satellite Town: All towns with size class of 20,000 to 49,999; will be planned as satellite towns. •Institutions like Oxford, Stanford, Harvard can’t set up shop in India because of regulatory hassles. To enable them to operate here, a geographical zone in the state which is free from these regulations will be demarcated. •Such a zone can harness the potential of the international education business by bringing high profile Universities to J&K. •Create three organic valleys in the state; one each in Chenab, Jehlum and Nubra Valley. •To produce globally accepted organic fruit and food products free from any chemical exposure. •Add value to and modernize the traditional foods and cuisine. •Preserve the cultural practices of these areas. •Herbal wealth of the state. •Unani and Ayurveda specialist systems. •Super specialization in Lifestyle disorders like anxiety, depression, insomnia, or memory loss. •Build “Herb Gardens” across the state and make them as unique yoga centers. •Rehabilitation of the flood affected and flood impacted will be the first priority. •The floods have not only destroyed assets but severely impaired the process of income generation. •As such post-flood rehabilitation program will be restoration of livelihoods and rebuilding of the economy. •Provide default insurance for uninsured assets of small traders and businesses from Calamity Relief Fund & Disaster Relief Fund. •Provide financial assistance for construction of temporary shelter sheds till rebuilding starts. •Debt Relief package for Kisan Credit Card and Artisan Credit Card holders. •Flood protection master plan for all major rivers and their tributaries. •De-silting and dredging of all rivers and nalahs. •Protection and Strengthening of existing bunds. •Building of new protection bunds on river Jehlum, Tawi and tributaries.